Turn any PowerPoint presentation into video without Microsoft PowerPoint installed. 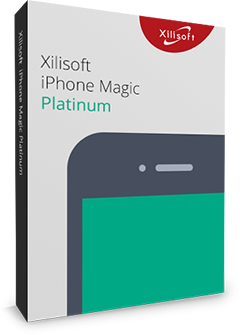 Xilisoft PowerPoint to Video Converter lets you convert PowerPoint presentations (PPTs) to almost all popular SD/HD video formats. Rehearse and include your own commentary, retain or add background music to your presentation or remove them altogether, adjust the time interval between slides, and add your own logo before converting it to a video. Play video presentations on iPad, iPhone, BlackBerry, etc. Add commentaries, background music and watermarks. 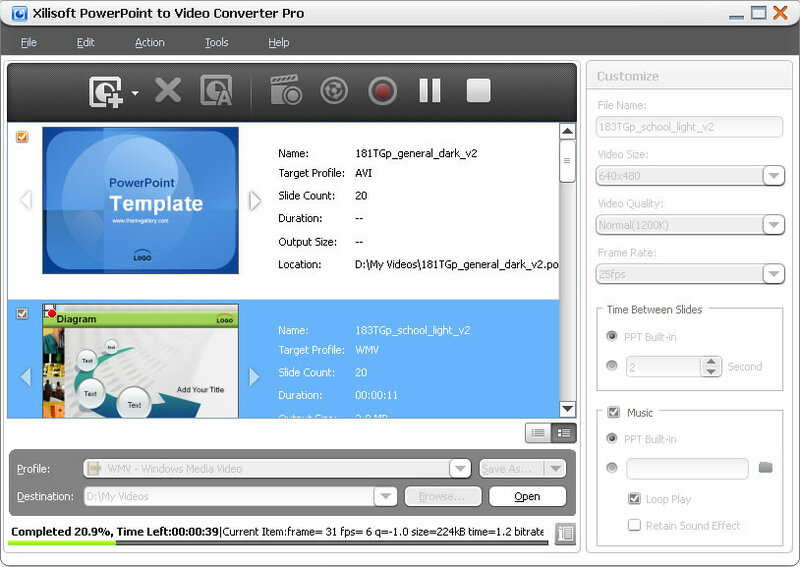 Optional "Express Convert" Mode enables PPT to video fast conversions without sound or effect. Play as AVI, WMV, MP4 or MOV format; no need to install Microsoft PowerPoint. Convert presentation to H.264 or MPEG-4 video for playback on iPod, iPhone, PSP and BlackBerry. Supports conversion to FLV files, so you can upload and play them on YouTube, Google Video or other video-sharing sites. Record your PowerPoint presentation with commentary, background music, and even adjust the time interval before converting to video format. Convert presentation to video file with all the slide elements such as animations, transitions, sound effects, actions and slide playback interval retained or removed. Add your company's trademark to your videos to protect your presentations from being used or distributed illegally. Set slide playback time interval or even add background music to personalize your presentation videos. Change, personalize and save the settings of existing output profiles. Adjust the resolution, video quality, frame rate and other output parameters to create a custom presentation video. Support all presentations (ppt, pptx, pptm, ppsx, pps, ppsm, potx, potm, pot) made by Microsoft PowerPoint XP, 2003, 2007. No need to memorize complex codes and terms to convert your presentations. 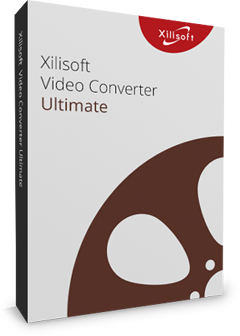 Just load them in Xilisoft PowerPoint to Video Converter Pro and it will do the job for you.